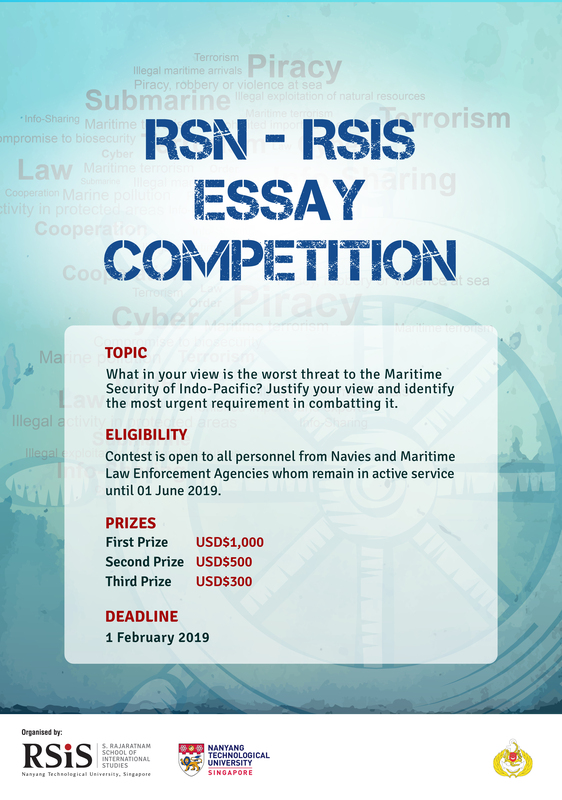 The RSN-RSIS Essay Competition 2019 is held in collaboration with the Republic of Singapore Navy. This competition will consider the depth and breadth of the submission. Candidates are recommended to justify by comparing their choice of threat against others. They should focus on the main problem in dealing with the chosen threat. Merit will be given for innovative thinking and reasoned argument backed-up with evidence. As the best essays will be published, the 4,000 word limit includes footnotes and appendices and will be strictly enforced. Thank you for participating and we hope you enjoy the process. Best of luck! The judging committee comprise of distinguished academics and senior commanders from the navy. Winners will be announced during the IFC 10th Anniversary Ceremony in May 2019 in Singapore.